Is this art? Selling other people's online pics Jump to media player Richard Prince prints off strangers' Instagram photos and sells them for thousands of dollars - he claims it's art, but some of the photographers disagree. Trippy photos get new life on Instagram Jump to media player The new book The Family Acid showcases work from photographer Roger Steffens. His photos have found new life thanks to social media. Aztec to urban: Mexico's street art explosion Jump to media player A street art movement borrowing from the country's indigenous past is sweeping Mexico City. Ruddy Roye, Instagram photographer Jump to media player Instagram photographer Ruddy Roye is chronicling protests following the deaths of Eric Garner and Michael Brown. Can you train your waistline? Jump to media player Is the craze for 'waist training' a quick fix or an unhealthy solution to achieving an hourglass figure? Instagram used to 'sell' drugs Jump to media player #BBCtrending looks at how obscure hashtags are used to offer drugs on the social network Instagram. Players take photos of children harvested from other people's accounts. They then post the stolen pictures to their own Instagram account with a new name and an imaginary storyline, inviting others to role-play being daddy, mummy or child. 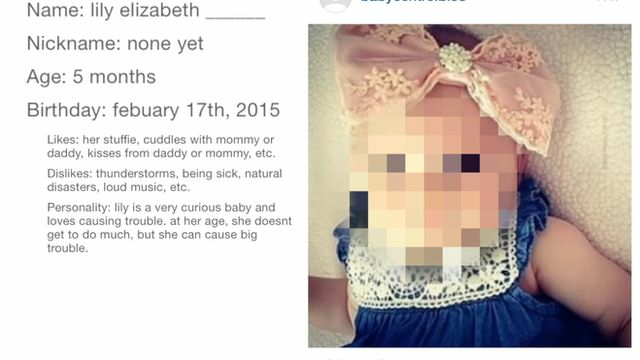 BBC Trending spoke to one mother who discovered dozens of photographs she'd posted of her son being used on a so called "virtual adoption" Instagram account. Instagram told us: "This type of content violates our terms. Once a parent or guardian reports it to us, we work quickly to remove it".